The first thing you have to understand about machine learning is that it is just a branch of A.I. As such, it basically describes a method of analyzing huge amounts of data in which prospective models of problem solving are automated. In layman’s terms, the computer solves basic problems without human intervention. This is significant for a few reasons, but the most glaring is that businesses today, and even small businesses, take in a lot of data. Traditionally, humans were paid to go through all this data, or it was archived and disregarded until there was a major question. This shift is in the manner in which these machine learning systems analyze data, identify patterns, and make decisions from the analysis of those patterns.This seemingly advanced technology is being deployed at a dizzying rate and is beginning to surround us all, in our phones, on search engines, and in the systems that we manage our business data. For the small business, there are opportunities to utilize this technology to help carve out a larger market share. 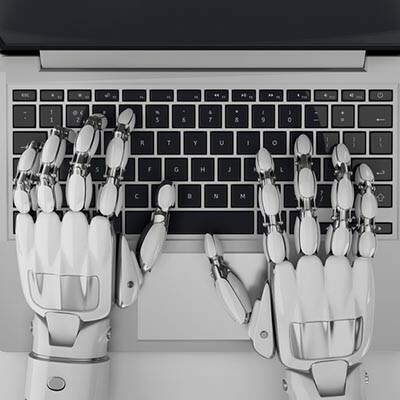 The philosophy behind utilizing machine learning for a business is just an extension of the overarching strategy of deploying automated systems to cut down on personnel and human resources costs. This strategy has worked in several sectors, albeit with automated systems that were more pre-programmed than “smart” like the machine learning systems. What is the capital and operational investment of deploying this technology? How it will have to be utilized to provide a competitive advantage? What systems can be improved through the use of machine learning? How much time do you have until you would be at a competitive disadvantage if you didn’t invest in the technology? Once you’ve ascertained how exactly to deploy machine learning, you can go ahead implementing it where you feel it is warranted. Forecasting business - What might be the most popular use of machine learning, the technology can be used to replace data and service analysis while being used to replace processes that were done manually or not done at all. Customer service - Chatbot technology essentially automates the customer service experience by directing customers to certain solutions based on query. E-commerce - Rolling out machine learning for your e-commerce site helps customers by adapting to customer behavior. Giving prospects and customers easy access to obtain the the products and services they are most interested in is sure to improve revenue generation. Reputation management - Machine learning can be set up to analyze internal and external data sources to monitor brand popularity. When it finds negative sentiment, you can use the information provided to smooth the situation over, fast. These are only four of the many processes that can really help improve your business. As the technology improves, more A.I. and machine learning applications will be used to manage, maintain, and streamline a lot of your business’ slow-moving manual processes. These technologies are extremely advanced and are programmed to learn for themselves, so oversight of them may be difficult. If you are one of the many business owners that have a difficult time trusting technology, machine learning may not be for you. These constructs tend to be less predictable than typical analysis, because it is so thorough. Also, you may run into problems getting all of the data that needs to be analyzed into the system, providing results that may not be accurate for your entire business. One could see how a small business owner can be in ‘wait and see” mode, but the problem with that strategy, however, is that your competitors may be using it now to improve their business. If you are interested in learning more about how this emerging technology can be used to make your business better, contact the professionals at Global Tech Solutions today at (800) 484-0195.